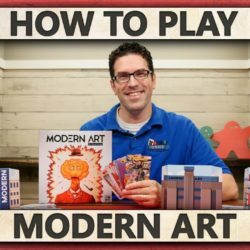 Rodney from Watch It Played gives us yet another great tutorial on how to play what is considered one of the best auction games of all time: Modern Art. 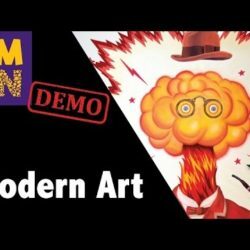 Continuing their coverage of Origins Game Fair 2017, Beth Heile of BoardGameGeek sat down with CMON’s Sean Jacqemain for another sneak peak of Modern Art. 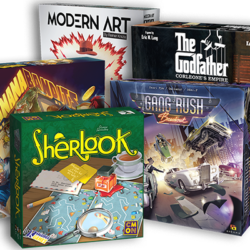 Snag a copy from your FLGS on July 28th, 2017! 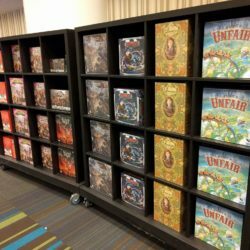 As previously announced, CMON is reprinting Reiner Knizia’s classic auction game. 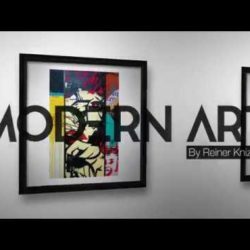 Check out a quick demo of the upcoming reprint of Modern Art from CMON Expo 2017. 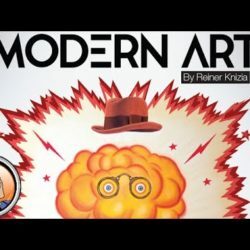 Largely viewed as one of the greatest auction style board games, it has become almost impossible to find a copy of Reiner Knizia’s Modern Art as of late. Those looking for a copy can breathe a sigh of relief, as it look like CMON will be reprinting this classic later this fall!